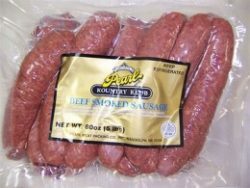 A combination of beef and pork blended with our hot Italian sausage seasoning. 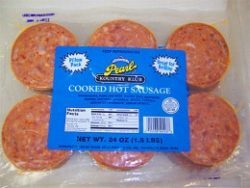 These are great with onions and peppers in a roll. 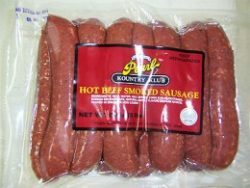 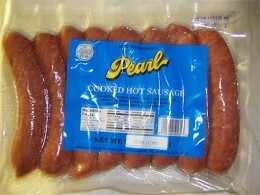 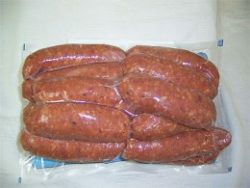 Pearl Meat 4oz Beef and Pork Hot Sausage 2lbs.